Edward and Marjory Leung have been wine enthusiasts for as long as they can remember, with a particular passion for Pinot Noir. Ma Maison boutique winery is the expression of that passion, born out of the Leungs’ desire to share their love of Pinot Noir with others. Food and wine have always been important to the Leungs, who love to entertain. Alongside his career in dentistry, Edward has also worked as a baker, takeaway shop owner and fine dining restaurateur, and as a side project to their day jobs, the couple established Ma Maison restaurant in Wellington. In 1993, they decided to take their passion one step further. The couple purchased a small block of land in Martinborough and planted their first Pinot Noir vines in 1995, naming the vineyard after their restaurant. 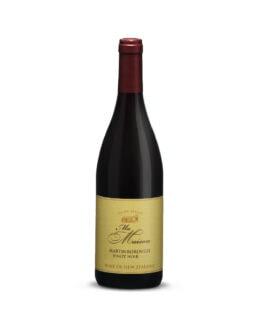 The first vintage of Ma Maison Pinot Noir was released in 2003, and since then Edward and Marjory, together with winemaker Wendy Potts and viticulturists James Walker and Barbara Turner, have worked tirelessly to produce small amounts of top-quality wines from their boutique eight-acre vineyard. In addition to Pinot Noir, Ma Maison also produces a limited release Chardonnay, made from vines that Edward planted with the Mendoza clone.